If you’re traveling by air this summer, these 5 travel gadgets will help you do so in style and comfort. Vacation? Wonderful. The process of getting there? Not so much. Airplane delays and long flights next to people you don’t know can easily transform your happy vacation mood from yay to nay. 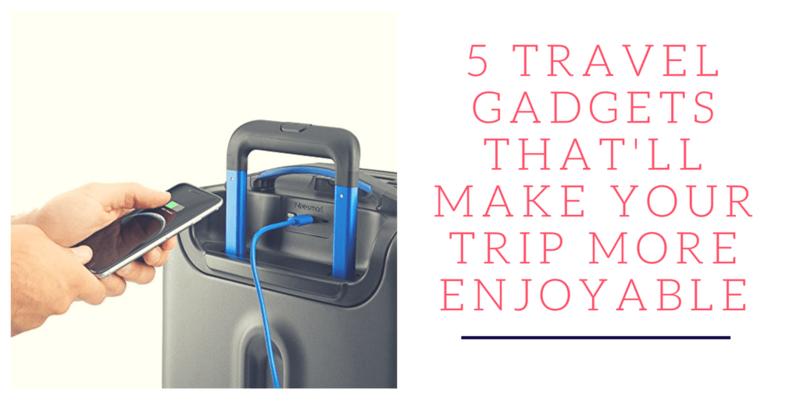 But I have some gadgets for you that might make the painful parts of your trip a little more enjoyable. 1) Nothing is more irritating on a plane ride than having your electronic device die, leaving you without entertainment or a way to contact someone when you land. Luckily, this nifty little device exists. 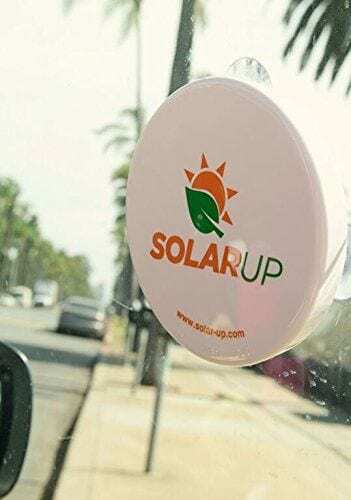 It’s a solar powered charger that you can stick to a window in the airport or car, and let the sun charge the device. No more dead devices. 2) Trying to search for your passport or wallet in a messy purse can be time-consuming and annoying, especially when you’re in a rush. This small, organized bag is a great way to prevent that from happening. It features a front and back pocket, an open mesh pocket, 4 card pockets, 4 large pockets, a zippered pocket, and another mesh pocket. It’ll be pretty hard to lose anything with this bag. 3) The number one way to pass time on a plane? Sleep. However, sleep can be a little difficult on a plane, especially if it’s cold, and bringing a bulky blanket on a plane on top of everything else might not work out. 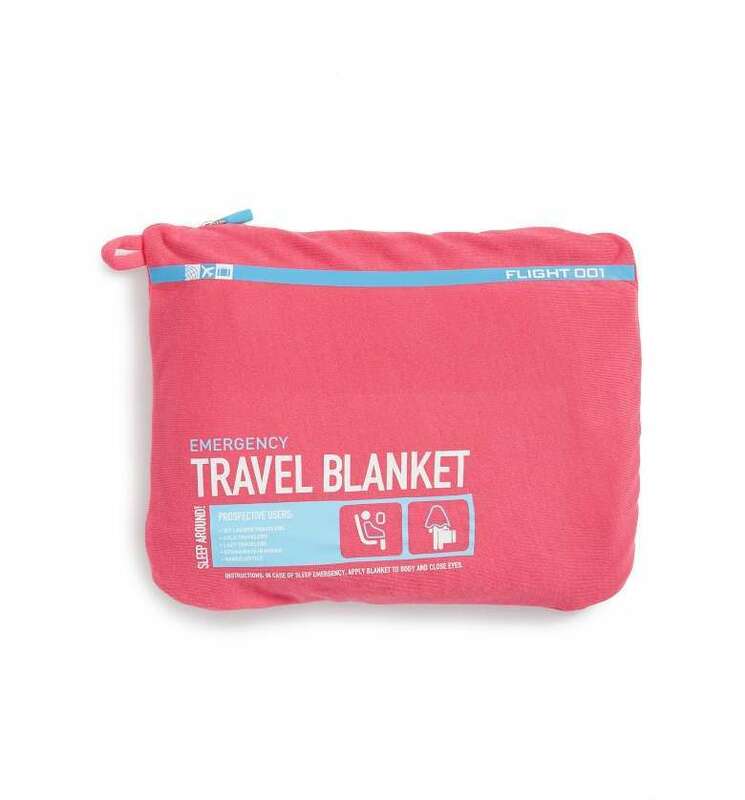 Luckily, this blanket fits in a tiny zipper pouch and doesn’t take up much room at all. Perfect for the plane! 4) A trip to the airport is almost always accompanied by the fear that your luggage will get lost, or even worse, broken into. That fear can disappear with this crazy suitcase. 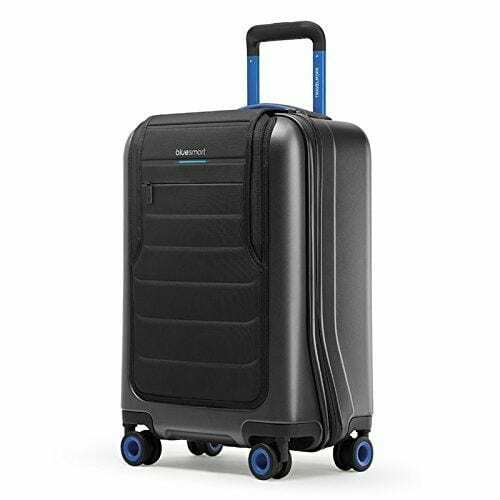 It’s called BlueSmart, and with an app, you can lock and track your suitcase from anywhere in the airport. Crazy, right? But that’s not all. 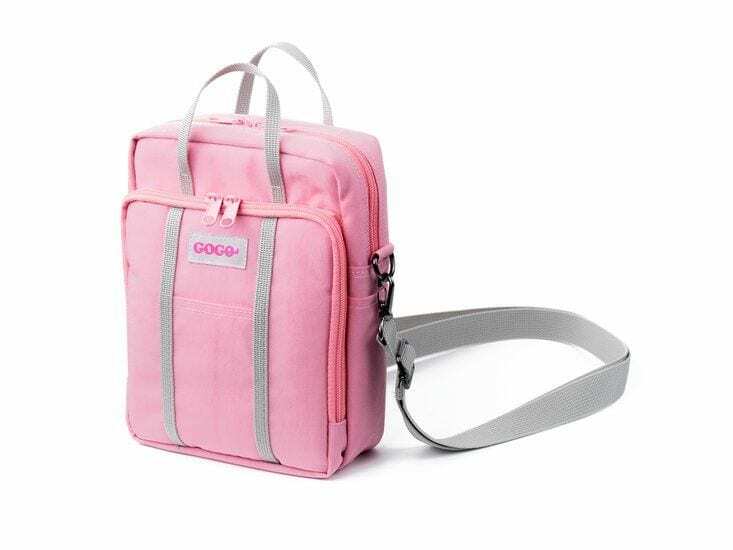 It automatically locks when you’re away from it, notifies you if someone tries to open it, and to weigh it, you just lift up the case with the handle, and a number appears on the screen, telling you the weight of the bag. Airport fears, be gone! 5) Although these aren’t a gadget perse, airports involved quite a bit of walking, which can be hard on your feet and back. Sometimes cute, comfy travel shoes can be hard to find. However, these ballet flats deliver on both cuteness and comfort. They aren’t clunky, but they also provide comfort for tired feet. And they match everything of course. 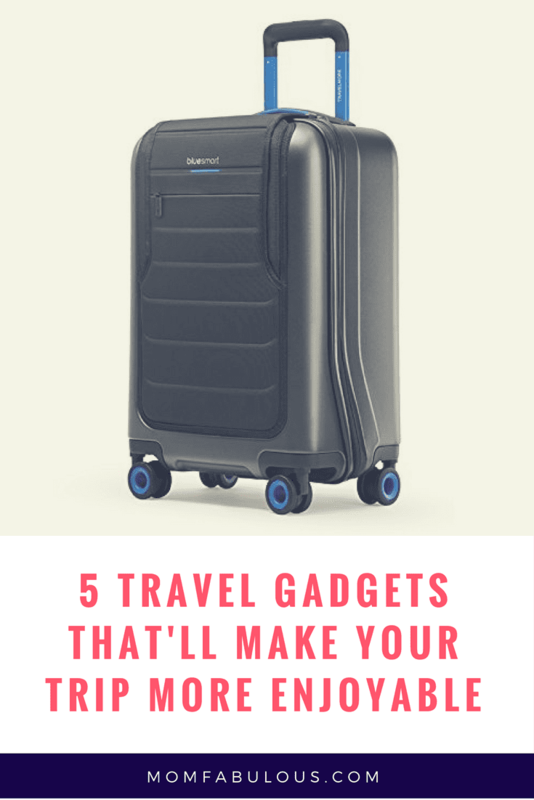 I hope these travel gadgets are all of your travel dreams come true. Happy travels! I definitely need a suitcase with a charger! Great post. I travel a lot and love each tip. Perfect!!! 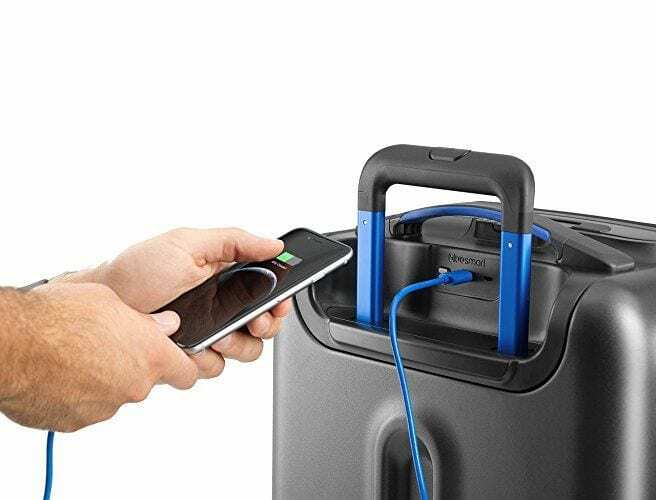 I just got a suitcase with a phone charger, it’s the best for long airport layovers. 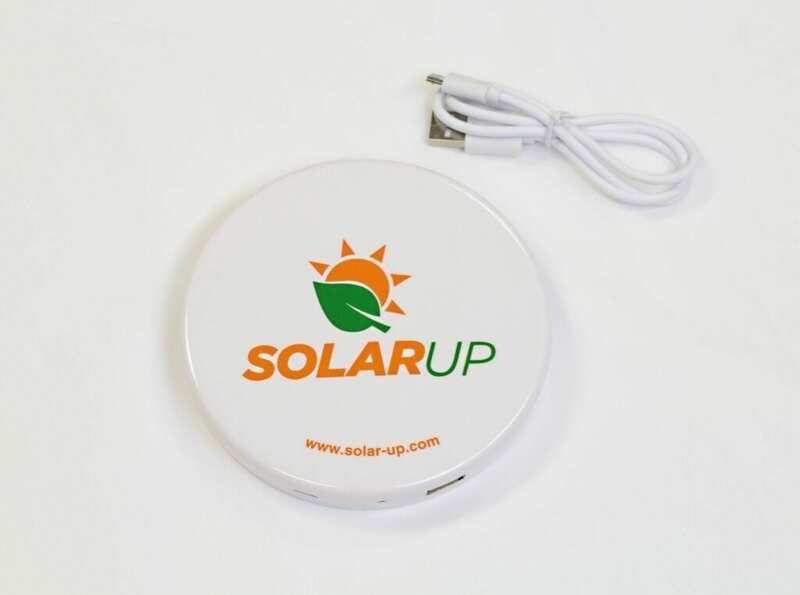 Also haven’t seen the sun shade charger…so cool. Comfy shoes are a must. Thanks for sharing. Soooo helpful! Love your list! Comfy shoes are a definitely must, and I always make sure to bring a backup battery for my phone!